Serbian.tech News When to consider investing in your startup marketing? Starting your own business can be exciting, eventful and at the same time exhausting. Deciding to have your own business is liberating, and it takes a lot of self-discipline and hard work. You’re not anymore bound to sit by your work desk from 9 till 5, however, given you’re responsible for everything that’s happening to your business you’re tied to it 24/7. What’s more important, you have to be available 24/7. Because, in the end, whatever happens, it’s your loss and you just can’t resign. Many entrepreneurial souls were moved by various rags to riches stories. However, we often miss the part when someone, who made it to the top, spends many years fighting for his cause. It seems like all we see is a success that came out of nowhere. But one thing should be clear – no one will hear about you and show up to your door to invest in your idea if you don’t market it. You need to sell yourself to potential customers and investors and start building your success story. However, when is a good time to start doing it? You are really passionate about your product, we get it. But, one thing you need to make it clear is that not everybody feels the same. The world will become your oyster only when you carefully choose the market you’re going to present your product or services. And how do you choose it? Neil Patel suggests you consider market size (which is mainly about demographics), market wealth (which means investigating if your targeted audience has enough resources to buy your product), market competition and value proportion. … you better dig for the keywords. Digital era is all about keywords and targeting the right people! When you have a clear picture of what your targeted audience is, you can make a selection of keywords which you will use primarily for blogging, social media and website to attract new customers. We all know the power of Google, aren’t we? … when you have a clear objective list of what your goals are. You most probably have one big goal – to make your startup profitable and maybe see yourself on Forbes list one day. However, in between, there is a whole bunch of small steps that should be done for you to succeed. Don’t overlook them. Don’t even try to do it. To make a clear picture on what you’ve achieved, where you headed and where you stand you need to set out some small goals. Don’t miss a chance to celebrate them as well! It will give you an extra push in the times you feel like everything is crashing and there isn’t that much to do! Investing in your startup marketing can be done through a whole bunch of ways. And at the beginning of your success journey is so easy to overlook one way that continues to grow and develop with each year passing. We talk about participating and attending conferences. We already discussed weather tech conferences are worth your money and your time, and we gave you some tips on how to grow your connections on them as well. If you’re avoiding it because you feel like you don’t have enough resources for it, there’s a solution, and we are the first you should contact. By providing shared booth stands at conferences we take much pride in providing you full visibility on the most prestigious its conferences in the world. And with them comes lots of good things – acquaintances, partnerships or even investments. Try it and see it for yourself. Managing your own business success is not an easy task, we get it. However, we want to tell you that you are not alone and never to lose your hope. Dream big and good things are bound to happen. Believe in your idea and work towards meeting your goals. 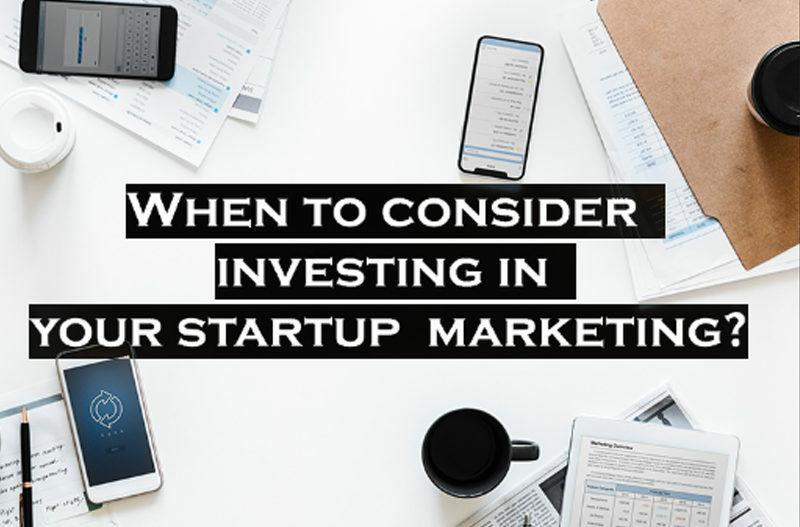 Marketing is a huge part of your success story and is sure not to miss these steps while considering investing in your startup marketing.